Black walls sounds like something that could look clubby at best and dire and depressing at worst, but choosing the right shade of black, and putting it in a room that can handle it, can result in a very modern, sophisticated look. Is black a color? Yes and no. Since it absorbs all light and reflects none, there is no color to be perceived by the human eye; yet it is considered a color. Black is commonly associated with mysticism, sophistication, timelessness, silence, magic, quietude and, in the western world, grief. In color therapy, black is considered calming, grounding and protective, and most effective when used in combination with white. In Feng Shui, black symbolizes water, and is the yin (or feminine) color. Some claim that the color black suppresses appetite, so if you’re trying to lose weight, a black focal wall next to your dining room (or kitchen) table might be a good idea! That famous quotation from Mae West – Too much of a good thing can be wonderful – does not apply in this situation. Too much black can feel overwhelming and depressing. Instead of covering every single wall in the room in black, just use it on a focal wall, on closet doors, in wall panels, or in a small space, like a half bath. 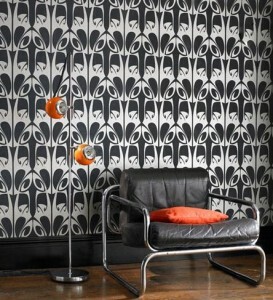 Black wallpapers with a more discreet pattern can also be beautiful. I really like this one, “Vaujours 01” by Osborne & Little, I think it has a nice 1920s feel to it (I picture Hercule Poirot in a room like this), and does not make the room look overly dark at all. 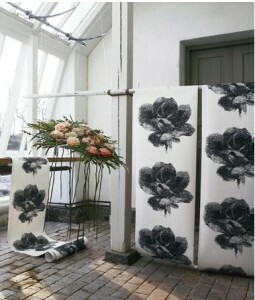 Or select a white wallpaper with a black pattern, like this gorgeous one from Swedish Borastapeter called “Linné”. The company commissioned seven Swedish designers to create wallpapers inspired by Carl von Linné, and this is one of the final products. I would not put this on every wall in a room though. 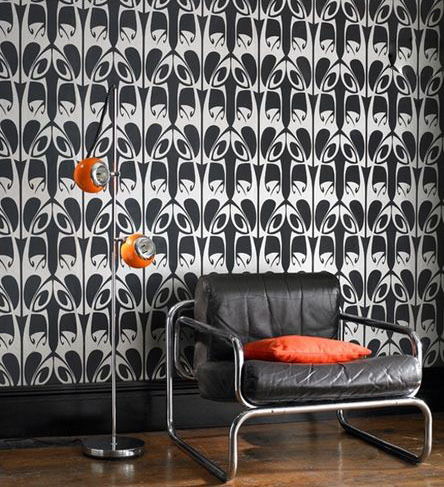 The pattern is so bold, that a focal wall, or even just one strip, is enough. 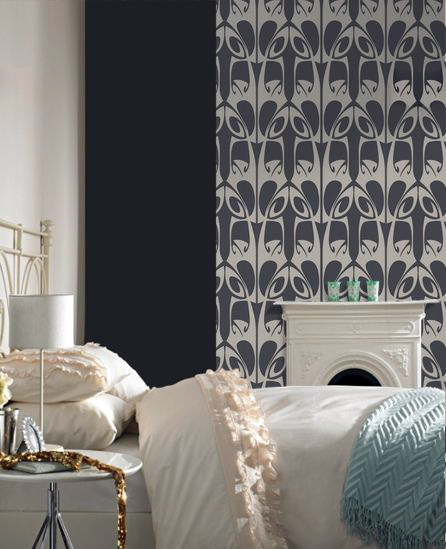 Another good example is “Edith” by Lisa Bengtsson, which I wrote about in my recent “10 Gorgeous Nature Wallpaper Designs” post. 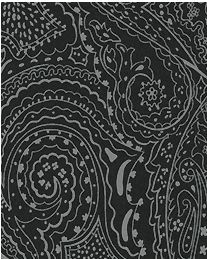 If you just want a tiny touch of black, put up a black wallpaper border. 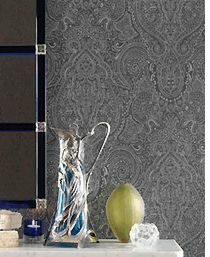 Borders do not necessarily have to be placed up top on the wall, right below the ceiling. You can put them anywhere you want. Perhaps use a wide solid black wallpaper border at eye height all around the room and add family photos along it. Or put a piece up vertically and do the same thing. Another option is to put it further down, where the top of a chair rail would be. Or put up two, or three in both solids and patterns. You can create some really unique wall decor with these, and your imagination is the only limit.